from the editor: ‘Tis the season! and while we’re getting travel-ready and buying last minute gifts, don’t forget about your own holiday wardrobe. If you’re like me and have to do a wardrobe adjustment from NYC fashion forward to xmas-friendly holiday dressing with family, some new additions to the bag are always a must. Though I’m not exactly talking the Christmas sweater, the reality is we tone down our wardrobe, wear a xmasy dress, and pull out (or buy) more conservative shoes for the occasion of the family visit. I packed the ‘Still Standing‘ spray to help break in the not so often worn shoes that I’ll be wearing during the xmas break. I recently transitioned from wearing sneakers every day to heels on occasion and tried out the spray with my my over the knee boots with heels. The result? No Pain, alot of laughs to gain, while still standing…. Pack it in the bag, gift the mom, and get one for the guy, too. there’s a UNISEX bottle now too. 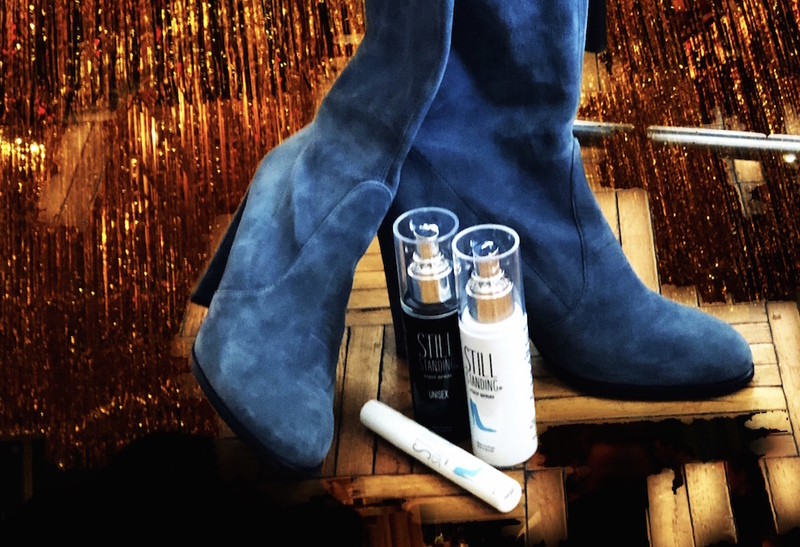 about: Still Standing spray has been a celebrity red carpet favorite, which makes perfect sense for standing in heels. The Standing Spray unisex is now available in new black packaging. For men, perfect for wearing dress shoes or thin soled Italian shoes and standing all day, and for women it’s perfect for added comfort on flats or heels. 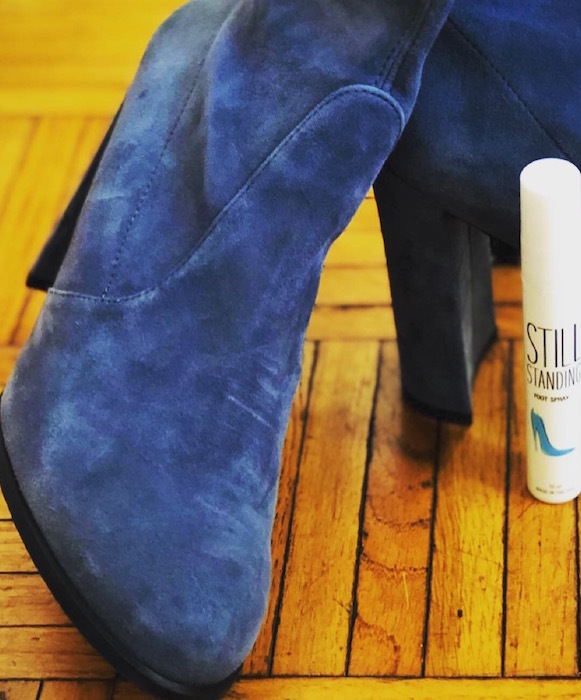 Still Standing is all natural – made of cooling menthol and Certified eco-distilled Arnica, and helps prevent feet from swelling. It’s sprayed on feet (top, sides and bottom) before placing them in shoes. (Total Comfort Set: $40.00).